Forcing way through thorny terrain, disregarding dense brush, IDU discovers body parts believed to belong to woman missing since May. As the sun set at the close of the Sabbath, the Israel Dog Unit (IDU) played a central role in finding two missing people in Ashdod. The first, N.D., a 20-year-old who was missing since Thursday was found alive and well. Unfortunately the second person found was dead and the remains found are believed likely to be the remains of an elderly missing woman who disappeared nearby nearly 5 months ago. Meshulam Sones and Aryeh Yavin, the two young IDU dog-handlers who found the bones, had been searching in Ashdod since Friday night. 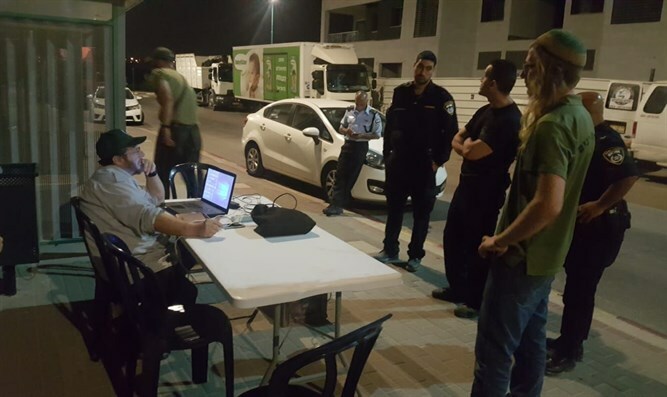 Although Sabbath-observant, they camped out on the floor of the Ashdod police precinct’s mess-hall that turned into the IDU command center, searching throughout most of Friday night and Saturday, with a dozen other Israeli Dog Unit volunteers who were called in by police to aid in the search for N.D., a young man from Ashdod who was reported missing Thursday. At 5.00 PM Meshulam and Arye were dispatched to search the forest and orchards near the graveyard. The two seasoned dog-handlers forced their way through thorny terrain and disregarded the dense brush, when they discovered the scull and other body parts believed to belong to a woman missing since May. Police forensics experts called onto the scene closed off the area as Meshulam showed the police the various body parts that had been found and other belongings of the missing person, which included a large sum of money, purse, comb, and shoes that the missing woman apparently placed in an orderly fashion, when she dozed off, never to awaken again, last May. Police will be investigating the cause of death and confirming verification of the identity of the remains. Police already contacted the family of the missing person, taking saliva samples to compare their DNA with those on the body parts found. Police say in close vicinity to the area where the body was found there are many illegal Arab infiltrators from Gaza hiding from authorities who sleep in tents and other makeshift homes in pursuit of employment in Israel. The discovery of the bones was the fourth find for the Israel Dog Unit last week. Sunday morning, H.K., another missing woman, was found unconscious in an abandoned Netanya building. She is still recovering in the hospital. Friday morning N.B., a young man missing since the previous Saturday was found alive in Jerusalem, also currently receiving hospital treatment. 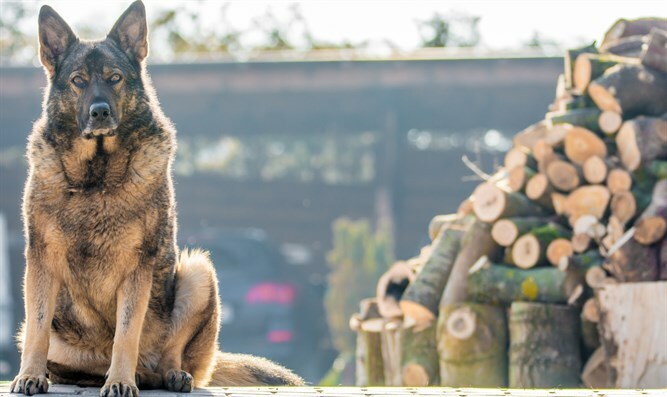 The Israel Dog Unit is a not-for-profit volunteer-based organization that breeds, trains, and deploys security dogs to prevent terror attacks in Israel and that searches and rescues missing people using specially trained service dogs, drones, and advanced search-and-rescue techniques. The IDU has an additional 200 volunteers throughout Eretz Yisrael who assist on search or security missions in their region, during their spare time. The unit operates a campus and kennels in Kfar Tapuach where lone soldiers and other volunteers live in the unit’s dormitories, undergoing courses to properly operate the canines. The IDU is on standby round-the-clock for emergency response to security and search-and-rescue operations.